In its over 60 years of successful and fruitful activities The Provincial Institute for the Protection of Cultural Monuments has implemented a great number of significant projects and activities in the country and abroad. These are some of the most important projects implemented by our experts. CALL FOR THE THIRD INTERNATIONAL CONFERENCE “PRESERVATION AND IMPROVEMENT OF HISTORIC TOWNS” IN SREMSKI KARLOVCI, May, 12th-13th 2016. THIRD INTERNATIONAL CONFERENCE “PRESERVATION AND IMPROVEMENT OF HISTORIC TOWNS” FIRST CALL, SREMSKI KARLOVCI, May, 12th-13th 2016. HEROMAT PROJECT FINAL CONFERENCE IN NOVI SAD - 9.11.2015. INVITATION AND PROGRAM SCHEDULE: SECOND INTERNATIONAL CONFERENCE “PRESERVATION AND IMPROVEMENT OF HISTORIC TOWNS”, SREMSKI KARLOVCI, May, 14th-15th 2015. 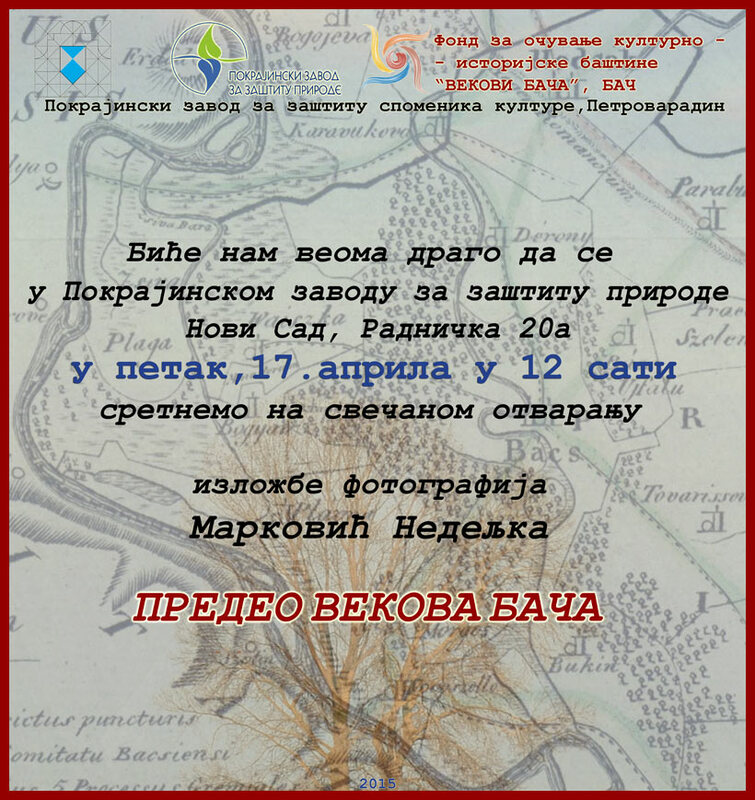 SECOND INTERNATIONAL CONFERENCE “PRESERVATION AND IMPROVEMENT OF HISTORIC TOWNS”, SREMSKI KARLOVCI, May, 14th-15th 2015. PRESERVATION AND IMPROVEMENT OF HISTORIC TOWNS. The Provincial Institute for the Protection of Cultural Monuments has been awarded the medal for the preservation of cultural heritage, prizes awarded by the Cultural Institute of Vojvodina for the 2013th year. © Copyright The Provincial Institute for the Protection of Cultural Monuments. All rights reserved.